NBA All-Star Weekend is always a spectacle and the action will be capped by the 2019 NBA All-Star Game in Charlotte at the Spectrum Center on Sunday night at 8 p.m. ET. It's always a powerful display of offense and that makes it a favorite for NBA DFS players with millions of dollars on the line in NBA DFS tournaments and cash games on FanDuel and DraftKings. Of course, knowing who will be hot in an exhibition setting is a challenge. and filling out your 2019 NBA All-Star DFS lineups will be difficult with LeBron James and Giannis Antetokounmpo captaining the two respective sides. So before you settle in and make your 2019 NBA All-Star Game DFS picks for Team LeBron vs. Team Giannis, be sure to check out the optimal NBA DFS lineups and advice from DFS millionaire Mike McClure. For the 2019 NBA All-Star Game, we can tell you McClure is high on LeBron James, who is the captain of one side. James hasn't had the season he was envisioning in Los Angeles, but that doesn't limit his upside in this All-Star format, a game he has thrived in historically. The three-time All-Star Game MVP has averaged 24.5 points, 6.3 assists and 6.0 rebounds per game in his 14 career appearances, and playing alongside Kevin Durant and James Harden, James has huge upside in all three categories again this year. Part of McClure's optimal NBA All-Star Game DFS strategy for Sunday includes rostering Antetokounmpo on DraftKings. The Greek Freak is a captain for the first time and he's done well to surround himself with length, athleticism and shot-making ability that should play to his strengths as a slasher, facilitator and smothering defender. Antetokounmpo averages 27.0 points, 12.4 rebounds and 5.9 assists per game this season and has already proven himself productive in the All-Star setting. In his first NBA All-Star Game appearance, Antetokounmpo scored 30 points, pulled down six rebounds, dished out an assist, had three steals and blocked a shot. Look for him to do a little bit of everything again as he continues to prove himself as the game's fastest-rising star and to provide a huge return in NBA All-Star DFS action on Sunday night. McClure is also targeting a player who is perfect for this style of game and is set to explode for huge numbers. The stars are aligning for him to return 60, even 70 points on both sites, and he comes at a lower price than you would expect. This pick could be the difference between winning your tournaments and cash games or going home with nothing. 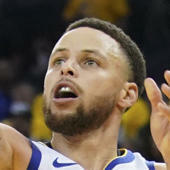 So who is DFS pro Mike McClure putting in his optimal NBA DFS lineup for the 2019 NBA All-Star Game? Visit SportsLine now to see the full NBA optimal tournament lineups from a professional DFS player who has almost $2 million in career winnings, and find out.